Over two million elder Americans are reported as having suffered from elder abuse each year. But these crimes are rarely reported and rising each day, with the actual number of people suffering from elder abuse in the United States likely being far over the reported two million cases. It is believed that only one in 24 victims ever report their abuse or are discovered by family members to have been abused. One form of elder abuse is financial. Of these victims, only one in 44 report the crimes perpetrated against them. The reason why so few report is that they feel shame for their victimization and many of the abusers are family members and people they love, according to the National Center on Elder Abuse. Hiring a personal injury lawyer phoenix is the right thing to do in this situation. Although most abusers are relatives and loved ones, elder abuse can occur at the hands of anyone, including professional caregivers. These crimes can also happen anywhere, such as in the elder’s own home or in a nursing facility. When elder abuse is reported, the victim often drops the charges because they do not want to cause their loved one suffering, despite that person having inflicted harm on them. Since so many elders are experiencing these shocking crimes of physical, emotional, verbal, psychological, sexual and financial abuse, many families wonder why so few cases are reported. Sadly, even loving families can have abusers within them and many people do not realize that the elder in their lives may already be suffering. So people need to be aware of the signs of this type of abuse, so loved ones may be protected. When an elder has marks on their body, such as unexplained cuts, scratches, burns, bruises or welts, it may be a sign of physical abuse. Elders become weaker as they age, so it is harder for them to stand up for themselves, both physically and verbally. Abusers take advantage of the fact that the elderly cannot hear well, speak as clearly or report harm as occurring against them, as they once could. Intimidation, bullying, blame-shifting, name calling, humiliation and isolation are forms of emotional abuse. The victim may suffer a change in personality, become depressed or experience emotional outbursts. Sexual abuse is more frequently a problem for the elderly than most people realize. Elders often cannot fully communicate and suffer deterioration of their mental capacity. They often do not understand what is going on. Caregivers and family members often try to scam the elderly out of their money and possessions. Their bank accounts may be drained, wills are often changed, or expensive items removed from the home. Some caregivers have forged checks, used the aging person’s credit cards and otherwise stolen from them. Physical violence may not be part of elder neglect, but this form of abuse can be just as damaging. Elders going through neglect often suffer weight loss, poor hygiene, unsafe conditions of their home, too little supervision or other effects of being left without care or assistance for too long. The neglect may manifest through the designated caregiver not taking them to doctor’s appointments or for necessary healthcare. Bed sores are a common sign of the aging person being left in one position for too long, with these heartbreaking wounds being painful evidence of neglect. These sores, also known as pressure sores, appear on heels, buttocks, ankles and elbows or elsewhere on the body. Left untreated, these sores can easily become infected and much worse. A serious problem as our population in America is aging, elder abuse is continuing to rise. To combat these and other types of elder abuse, the first step is prevention. It is best to remain in close contact with the elderly adults in your life, visiting more often than just on major holidays, events or once a month. They need to be called and visited frequently, even if these visits are by multiple members of the family, all looking for indicators of good health or signs of abuse. Try to become familiar with your older family member’s lifestyle and habits, so you can quickly spot any changes. Even if you only suspect some form of abuse, you should file a report right away. It is better to be wrong than for the abuse to be present but unreported. Avoiding the issue will only perpetuate the problem that, by its very nature, only gets worse over time. 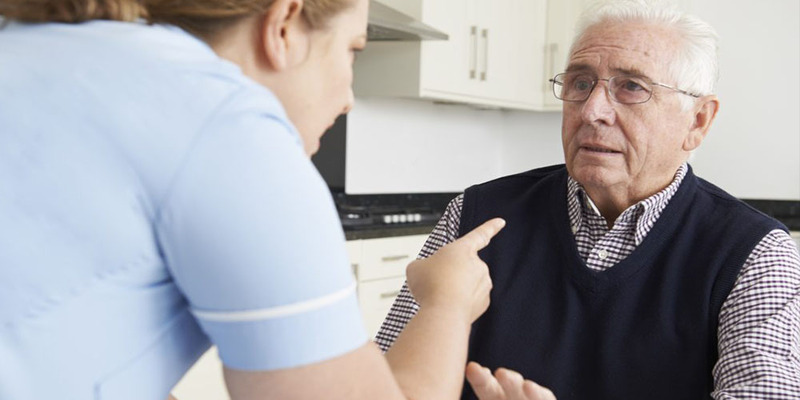 If your loved one seems to be experiencing some changes in their health and safety, it is important to remove them from the situation as quickly as possible, until you can determine whether they are being victimized through neglect or elder abuse. If you are aware that your loved one has suffered from elder abuse, it is important to contact an experienced personal injury attorney and elder abuse attorney who can help you protect your loved one while gaining compensation for their injuries to ensure they are able to recover damages and experience better care going forward.